The last quarter of the year is always busy for Sarsen Technology, and 2014 is no exception. The company is exhibiting at the Embedded Design Show in October alongside DAVE Embedded Systems, and have some exciting plans for the website that will be actioned over the next few months. Unique Design Enables Impressive 250,000 Flow Rules, Large Port Count, and Smooth Upgrade to Pending Specifications. This is a unique product in the OpenFlow switch space. The ZX1200-SDN is a software-defined networking (SDN) solution and can accommodate a significantly larger volume of custom OpenFlow flow rules than standard hardware solutions at a far more cost-effective price. Registration for the Embedded Design Show is now open! To be our guest at the exhibition, register for your free entry badge by clicking here – REGISTER If you would like to attend any of the conference sessions as our guest you can sign up for free by simply entering entering this discount code – ENG14C. The A10 board family from BittWare features flexible memory configurations, sophisticated clocking and timing options, QSFP28 cages that support 100Gbps (including 100GigE) optical transceivers, FPGA Mezzanine Card (FMC), and support for the network-enabled Altera® SDK for OpenCL™. Arria 10FPGAs and SoCs are the industry’s first FPGA to integrate hardened floating-point (IEEE 754-compliant) DSP blocks that deliver breakthrough floating-point performance of up to 1.5 TFLOPS. 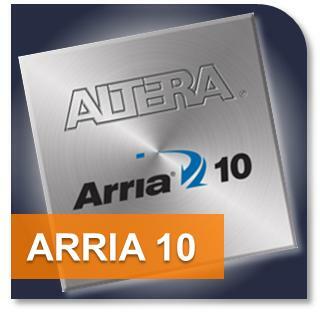 Arria 10 SoCs are also the industry’s only 20nm FPGA to integrate a dual-core ARM® Cortex™-A9 MPCore™ hard processor system (HPS). The Intel® Atom™ E3800 processor is the first system-on-chip (SoC) designed for intelligent systems, delivering outstanding compute, graphical, and media performance while operating in an extended range of thermal conditions. Built on the Silvermont microarchitecture, these SoCs utilise Intel’s industry-leading 22nm process technology with 3-D Tri-Gate transistors, delivering significant improvements in computational performance and energy efficiency.